Peter has been training with the Run-Fast group for four years now and has made huge strides forward in that period. He’s announced himself nationally with a career performance at the recent English National Cross Country Championships, finishing 4th on the familiar Parliament Hill 12k course in 40:10, the course where he was victorious over 8k in 30:55 at the London Cross Country Championships in 2016. 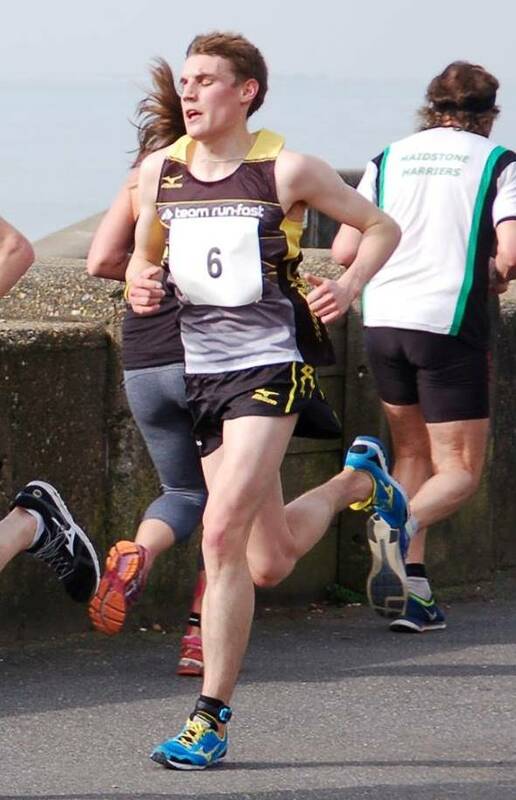 At Brighton 10k in 2015 he dipped below 30 minutes for the first time, clocking 29:55. Since then he’s delivered a sub-50 minute performance over 10 miles, running 49:36 in the 2017 Simplyhealth Great South Run, only a week after a runner-up finish at the Manchester Half Marathon where he was just outside the 65 minute barrier in 65:01. This Spring he scored a victory representing England Athletics at the Lillebaelt Half Marathon in Denmark in 67:27, and he will continue to attack the roads this Fall, with a racing schedule that includes the prestigious Great North Run.